A great few days spent at Tupras installing our Mixer Torque Rheometer and Caleva Multi Lab machines in their R&D Laboratories. Tupras (Turkish Petroleum Refineries Corp) in Kocaeli is Turkey’s only oil refiner, operating four refineries with a total capacity to handle an annual 28.1 million tons of crude per year. 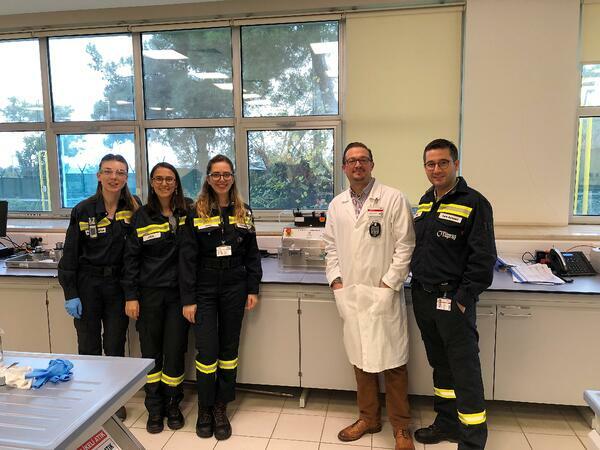 Our International Sales Manager Scott Humphries, together with our Turkish agent Yeni Farmakon, spent two days training and helping the team utilise Caleva equipment to create extrudate and pellets from their many unique catalyst formulations. The R&D team at Tupras were delighted with the equipment and how easy it is to use. Particularly impressive was the the simplicity of programming the Mixer Torque Rheometer. Tupras were very excited about how the equipment could hugely improve the speed and efficiency of their research.